All Grain Extra Special/Strong Bitter (English Pale Ale) homebrew recipe. 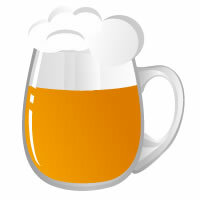 This homebrew recipe uses the following ingredients: Pilsner - DE, Pale Ale - DE, CaraMunich III - DE, CaraAmber - DE, Challenger Hops, Fuggles Hops, Fermentis Safale US-05 Homebrew Yeast. This recipe was cloned from APA SOS Malte.